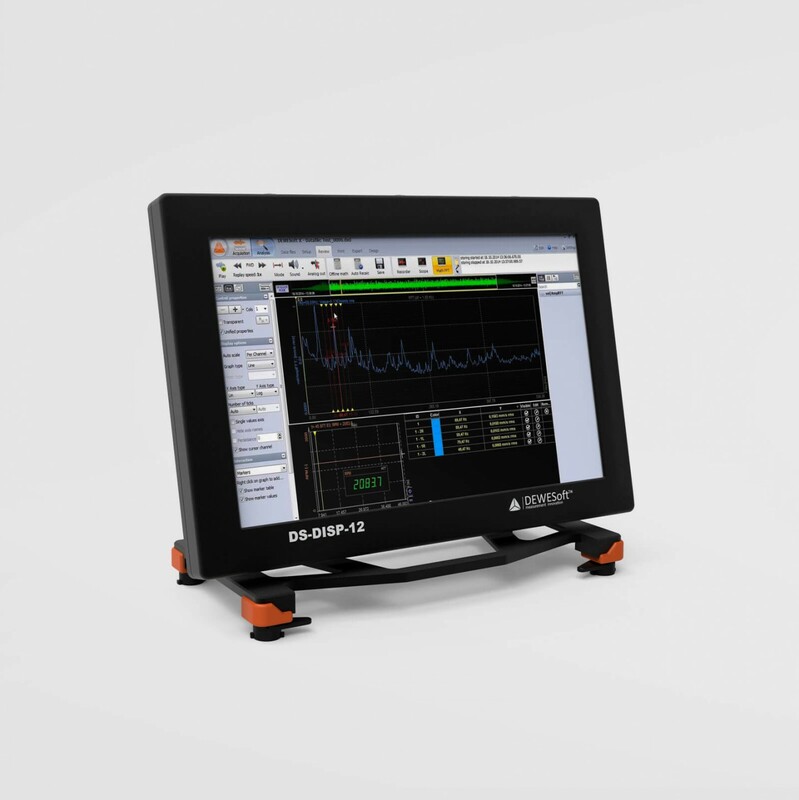 Flexible mounting plates and accessories for Dewesoft data acquisition instruments. SIRIUS CLICK MECHANISM: Mounting plates are an extension to SIRIUS click mechanism which allows several SIRIUS AND SBOX devices to connect together. 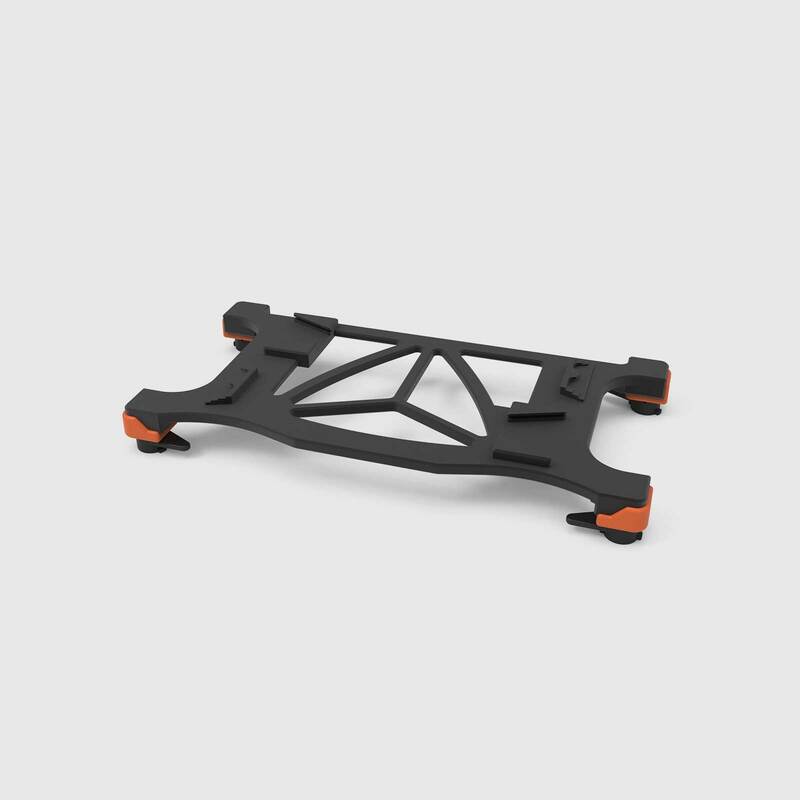 WIDE VARIETY OF OPTIONS: Different mounting plates allows to mount SIRIUS units to rigid surfaces and to stack KRYPTON units or other devices and accessories on the top. 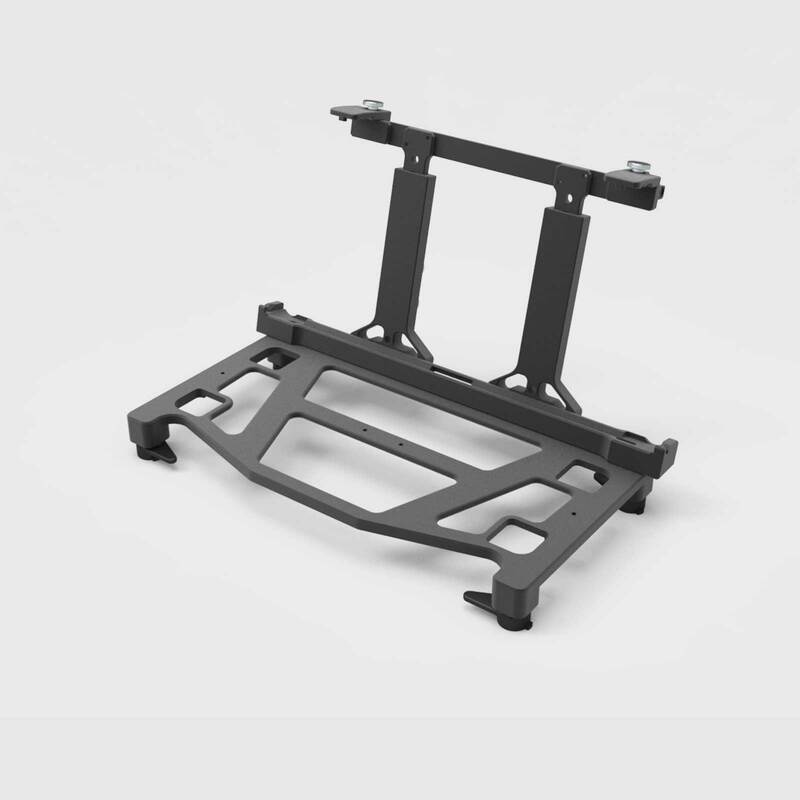 DAMPED RUGGED MOUNT FOR SIRIUSw: Rugged mounting systems for SIRIUSw and SBOXw expands the usability of these devices even further providing vibration damping mechanism. 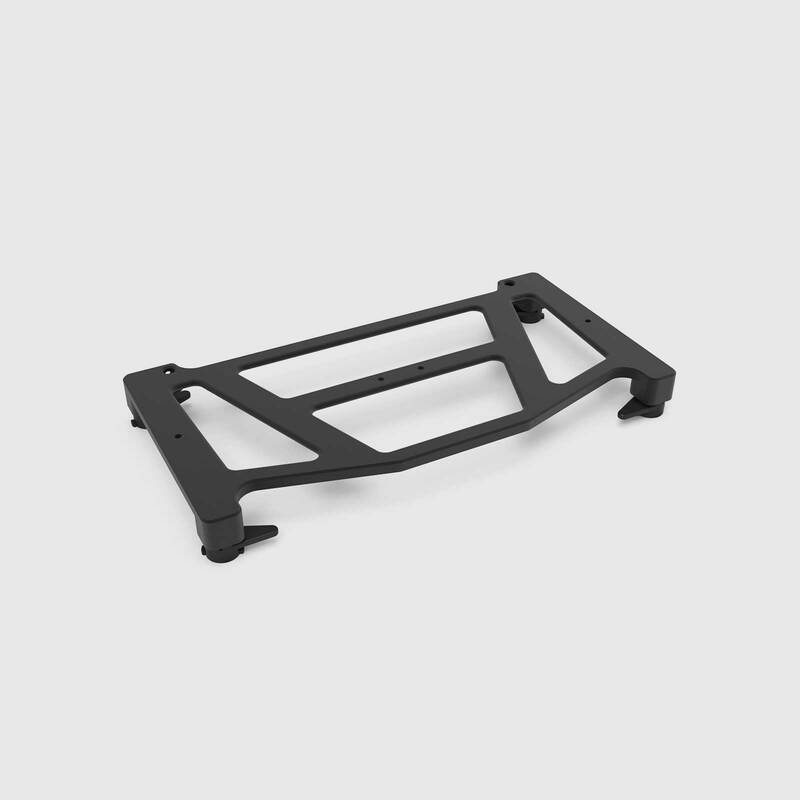 This mount can be used to mount SIRIUS data acquisition systems and SBOX data processing computers to the wall, floor or any other flat surface. General top mount for SIRIUS data acquisition systems and/or SBOX data loggers. 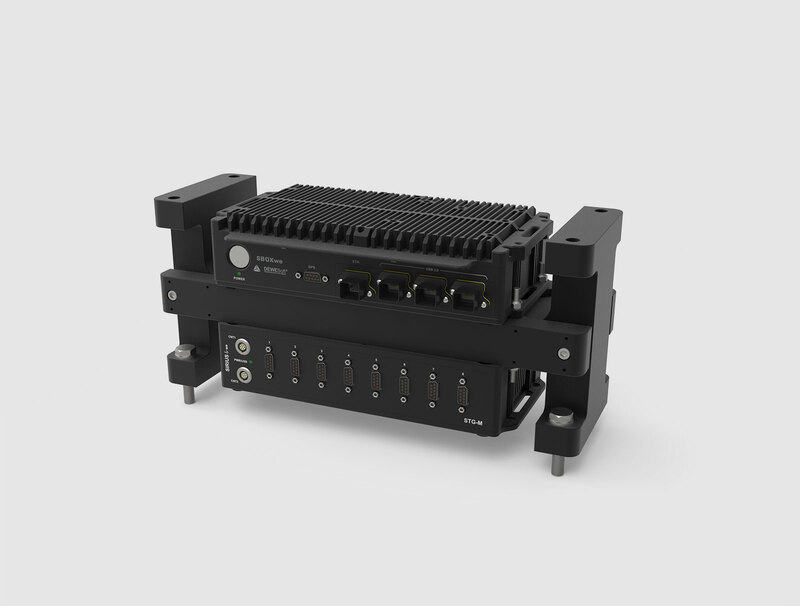 Mount can be used to fit small instruments, such as DS-CAN2, or any accessory that needs to be firmly fixed to the DAQ system. Top plate with handle and holder for tablet PC with click mechanism. Fits to SIRIUS and MINITAURs data acquisition systems, SBOX data loggers and battery packs. Top mounting plate for binding KRYPTON DAQ modules to SIRIUS and MINITAURs data acquisition systems, SBOX data loggers and battery packs that. Mounting plate for fitting SIRIUS, MINITAURs data acquisition systems, and SBOX data loggers into a 19˝ rack cabinet. 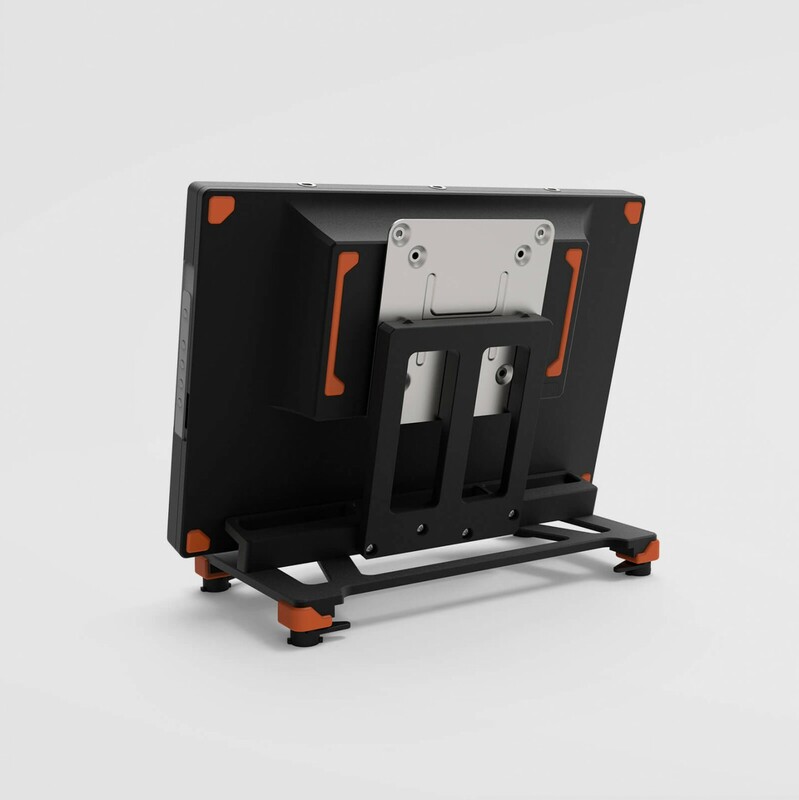 Mount that fits DS-DISP-12, our 12'' multi-touch LED screen DS-DISP-12, on a SIRIUS slice compatible plate. Smart click-mechanism enables plane and display to be firmly fixed above SIRIUS DAQ system, SBOX data logger or MINITAURs DAQ system. 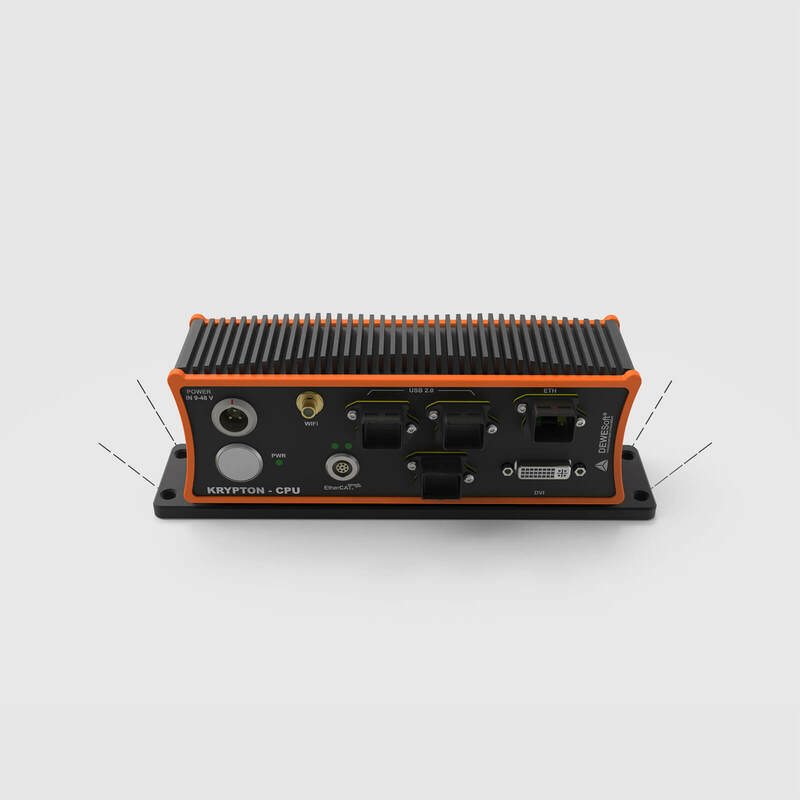 The VibIso mount provides a vibration-isolated base for SIRIUS waterproof and SBOX waterproof DAQ instruments. 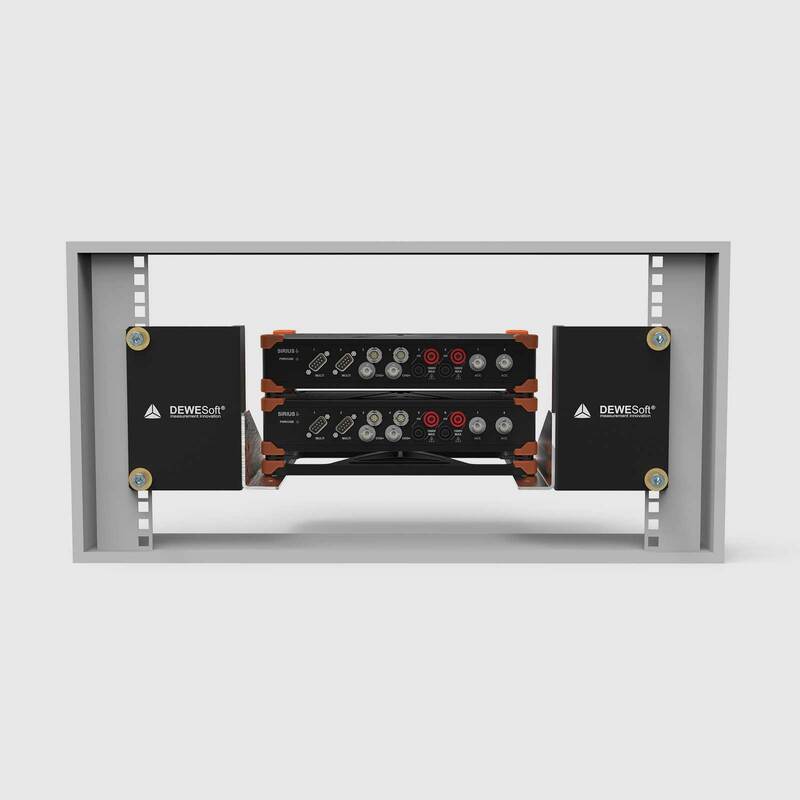 Measurement units which are mounted on the Viblso mount are suspended on rubber dampers which isolate instruments from high-frequency vibrations. 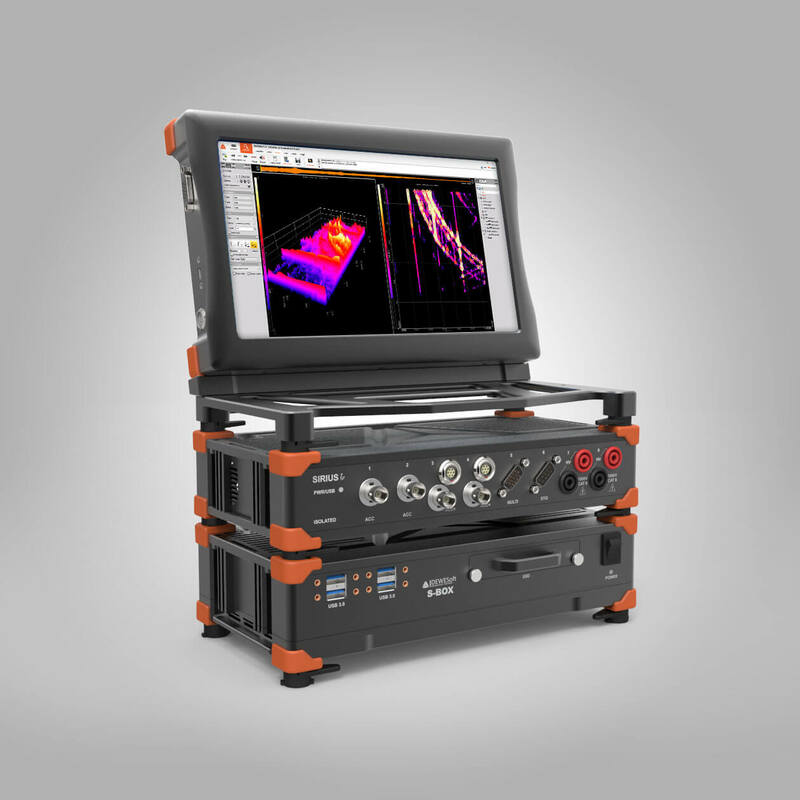 One VibIso mount can accommodate two measurement units. One on top and one on the bottom. VibIso mounts are designed to sustain the acceleration spectral density for 6 hours in each direction X, Y, and Z. Mounting plate for a KRYPTION and KRYPTON CPU data acquisition systems. The mount features an aluminum ground plate with an easy click mechanism, which is the same as the one found on the top side of all Krypton instruments. It is suitable for mounting any Krypton as well as a Krypton CPU. Please note that the mechanism is not meant to sustain large vibrations and a huge stack of devices.